Size : 17.3 x 18.3 mm. Weight : 2.48 grams. Obverse : Head of Severus Alexander right, with IMP SEV ALEXAND AVG around. 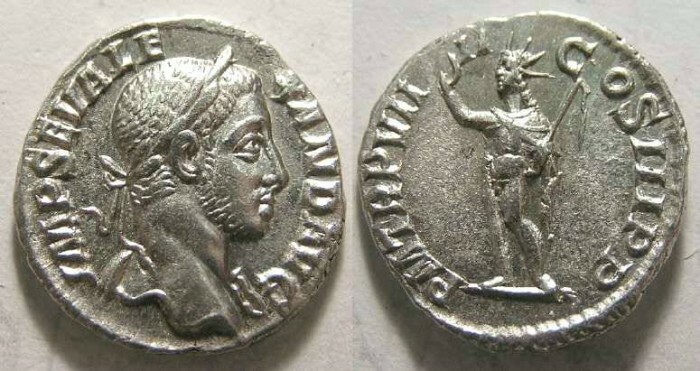 Reverse : Sol standing left, raising his hand, and holding a whip, with P M TR P VIIII COS III P P around.